If you have been looking for the best gambling casinos in Nigeria, you have come to just the right place. The best casinos in Nigeria offer gamers the opportunity to enjoy roulette, blackjack, poker, Texas Hold’em poker, and a collection of slot machines, where you can spend anything from 5 cents to $2. 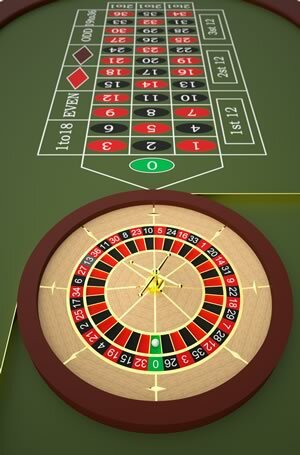 At any Nigerian casino, roulette is a popular game as it is easy to play and can be enjoyed by beginner gamblers as well as the more advanced gambling enthusiasts. This particular casino game is played on a wheel. Players must place a bet on a single number or on a variety of numbers. Bets must also be placed on whether the outcome will be red or black and odd or even numbers. A croupier spins the roulette wheel and drops a ball into the circular track that surrounds it. When the ball loses momentum and falls into the numbered and colored pockets on the wheel, the results are determined and announced. This is done when the wheel has come to a complete halt – losing bets are then raked in and winning bets are paid out. There is a small difference between regular roulette and American roulette. European and French roulette wheels have 37 pockets on the wheel and American roulette wheels have 38 pockets on the wheel. Where can you play roulette in Nigeria? At some of the country’s finest hotels of course: Concorde Hotel, The Sheraton Hotel and Bougainvillea Hotel. These secure and esteemed hotels provide the perfect backdrop for an afternoon or evening of fun and potential winnings. We bring the thrill and excitement of a buzzing and flashy casino right to you, on your travels. Prepare to be thoroughly entertained as your try your hand at blackjack, easy poker, stud poker, baccarat, Texas Hold ‘Em Poker, bingo and a great deal more. You can also spend a few hours getting engrossed in what our retro, traditional and video slots have to offer. The casino of your choice will offer a nightly buffet and a trendy bar for those who want to satisfy their hunger and quench their thirst after all the excitement. Operating hours are usually from 12 noon. Come try your luck at roulette at the best casinos in Nigeria!